Ben was born in Gothenburg, Sweden, in 1950. He enjoyed a particularly happy childhood. His family, though, was singularly intolerant of music. In a period of pure teenage rebellion Ben started to play the guitar just to upset his parents. Ben found out, though, that his paternal grandfather had been a cantor, and had been talented. Armed with this knowledge, Ben vowed to revive the family musical tradition just to teach his parents a lesson. In his late teens he was always out playing in some kind of musical event – an enthusiastic ballad singer. In the autumn of 1968 Ben played as a solo artist at the Concert House in Stockholm. That same evening his moist-eyed parents, in a gesture of forgiveness, gave him his grandfather’s tuning fork. Thus he had achieved his goal, and soon switched tracks and registered at the Stockholm School of Economics. When he graduated in 1976, he decided to limit his love affair with music to his own home while he devoted himself to his business career and his family. But then one day in 1998 Ben wrote a letter to his friend Janne Bark, who was at the time on tour with Ulf Lundell. The letter spun itself out to become long and witty. When Janne came back to Halmstad he waved the letter in Ben’s face and thundered that he should start to write song lyrics with the same style he used in his letters. Ben went along with him, but he refused to write love songs. The two music lovers met more and more often to sing ”non-love songs” together, and soon a single CD was issued. It rose right up to the top of the Swedish Hit Parade. In the space of two years Ben had seven songs up on the list and was frequently played on Swedish radio stations. The critics’ consensus is that the reason for his successful run was that ”Ben composes and performs his songs with reflective lyrics and simple, appealing music”. This pleases Ben, since he believes that music doesn’t need to be complicated as long as it touches you. Just a few days after I started school at the age of seven, I was a witness to victimization. You would think that in 1957 in Sweden there wouldn’t have been many people to victimize, since our country was then a very homogeneous society in the sense that almost all of us were native Swedes. The waves of immigrants and refugees that have flowed over Sweden since the latter part of the last century had not yet built up. But believe it or not, many found reasons to victimize and harass their fellow men even then. As soon as an individual showed any variations that made him stand out from the herd, the evil face of victimization showed itself. It could be someone who wasn’t born in the area, or who had unusual features, or was overweight. If a person was a Jew only twelve years after the Allied forces stormed into the camps of the Holocaust, there was a big risk that he would be subjected to abuse in Swedish schoolyards. Since 1945 we have heard over and over again the words ”Never again!” about the Holocaust. We have agreed never to forget that people were annihilated by the Nazis because they had different opinions or beliefs, because they refused to bear arms, because they were handicapped, or were considered to be of an ”inferior race”. The Jews were those who suffered most from the Nazis’ Holocaust. In six years, six million Jews were murdered. Despite the fact that we have heard the words ”Never again” over and over again, the world has still witnessed genocide several times since the Holocaust. Since the end of World War II, mass murder has been committed in Cambodia, Iraq, Rwanda, and in the Balkan states. If we also count the mass murders of less than hundreds of thousands of individuals, we find even more examples of ”ethnic cleansing” during these years. A common denominator of genocide is that it starts with lies about the victimized people. The lies turn into mobbing. If the mobbing is organized under obscure political aims, it can rapidly get out of control and lead to mass murder. If we promise ourselves that ”this shall never happen again”, we must take action here and now. It has to begin with you and me. We can never delegate anyone but ourselves to see to it that victimization, which can be followed by genocide, never happens. Music is communication. When I began to see that I could reach out to a bigger audience with my music I wanted to tell about things that are important to me. The greatest task we human beings have in front of us, if we want to prevent new genocides, is to learn to show respect for others. The battle against victimization (and mass murder) must start right here and right now – and with you and me. By sheer chance, and thanks to some clear-thinking adults close to me, I was introduced at the age of seven to the deeds of Raoul Wallenberg and to the battle against victimization and mass murder. Ever since then, the memory of his actions has given me hope and been a model of how we all can fight evil. Even though Raoul Wallenberg’s deeds were huge ones that allowed him to save thousands of people, he showed that we can start small – right here and now. We can all prevent victimization and genocide by practicing what Raoul did; we can show respect, get to know other people, take a stand for those who are oppressed, and have the courage to get involved. People say about Raoul Wallenberg, ”One man can change the world”. I prefer to broaden the description of his gift to say ”Each and every one of us can change the world”. 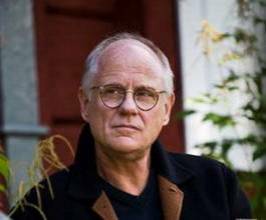 During 2004, when I was becoming one of the Swedish Broadcasting Corporation’s most played artists, I wanted to have my dream come true, and that was to write and record some songs for the sixty-year commemoration of Wallenberg’s abduction by Soviet Russian military forces on January 17, 1945. Janne Bark and Mats MP Persson contributed their enthusiastic support as fellow musicians and producers. The first presentation of my songs was on a national TV morning news program where Janne Bark and I played our music and were interviewed on January 17, 2005. It was an unforgettable morning, especially since Nina Lagergren, Raoul Wallenberg’s sister, was also there to tell about her brother and about her own life-long battle to bring him home. Although the songs were played often on Swedish radio and TV during the summer and fall of 2005, the silence surrounding Raoul Wallenberg and his deeds soon became closed in again. And yet this happened at the same time as we see an increase in anti-Semitism and victimization in our relatively comfortable society. Faced with this fact, I promised myself in the spring of 2005 to use my opportunities to reach out by going out to schools and companies to talk at least once a month about the Holocaust and Raoul Wallenberg, and about how each and every one of us can fight all that has to do with victimization and genocide. One model for this, our mutual battle, is the one Raoul gave us – to show others respect and consideration, and to have the courage to stand up for our fellow human beings by intervening when others are wronged. Talking – and singing – about Raoul Wallenberg’s deeds is unbelievably inspiring. It’s one of the few ways I can approach the Holocaust with feelings of hope and confidence. Raoul Wallenberg and his co-workers at the Swedish legation in Budapest were also some of the few rays of hope in Sweden’s actions during World War II. Despite that, many people in our country feel that it is ”uncomfortable” to say too much about Raoul Wallenberg. This attitude is something that hasn’t just hindered me practically from going out and talking about how we can fight evil. It has also perplexed me, and even to a certain extent made me angry. But mostly it has reinforced me in my belief that it’s important to keep the memory of Raoul Wallenberg’s heroic efforts to do battle with everything between victimization and genocide. The presentation takes one hour and includes a picture play, lecture and music. When I talk in schools I prefer to do the presentation in a filled auditorium and I hope that it will be followed with discussions and teaching during the regular teaching. As background and support for my lectures I have written an informative brochure about Raoul Wallenberg’s deeds, which is included with the CD of the songs. It has a short introductory description of the Holocaust’s origin and development. The brochure as well as all the song texts is presented in both English and Swedish. The lectures are not affiliated with any political or religious groups. My ambition is simply to spread knowledge about humanitarian principles. Although I do this on my own initiative and with my own financing, I get great support from my friends in the Association of Holocaust Survivors in Stockholm, the International Raoul Wallenberg Foundation in New York, and especially the Lagergren and von Dardel families.